Happy New Year and happy Crabby Patty season! Those dates around November – January are known in the Bay Area as Crab Season. 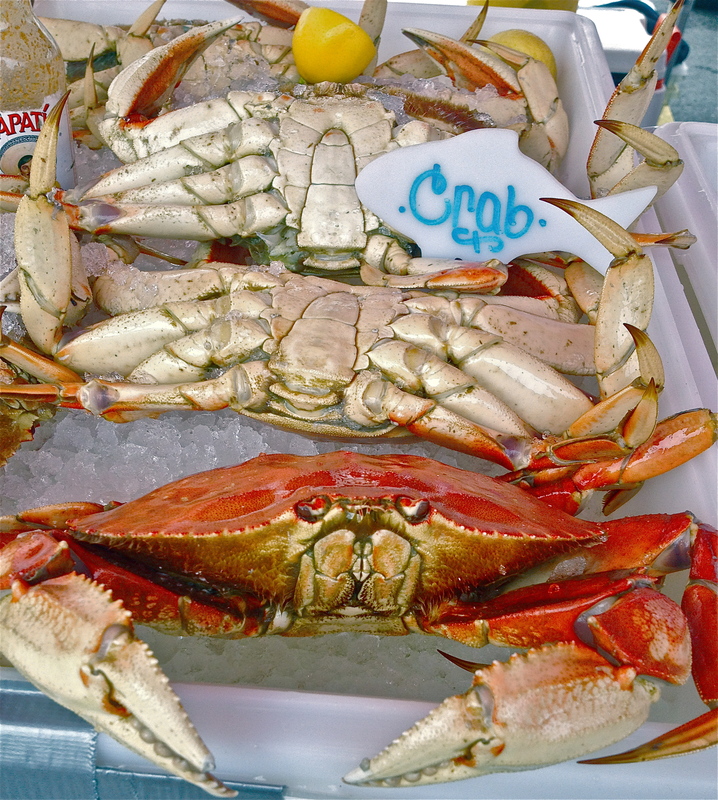 Farmers Markets and local grocers are chock full of crab fresh from our bay. These little buggers are delicious just by themselves, but why not dress them up for a little fun? 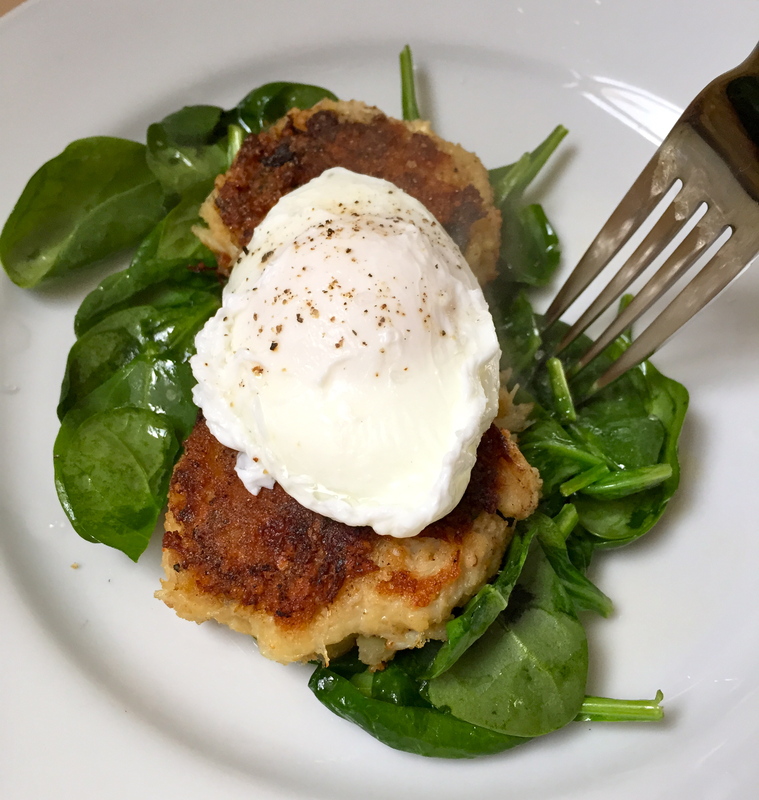 I love crab cakes, but in the spirit of New Year’s resolutions, I wanted to come up with a version that was Paleo-friendly and delicious. This recipe eliminates gluten and mayonnaise, leaving only fresh, healthy, and satisfying ingredients. 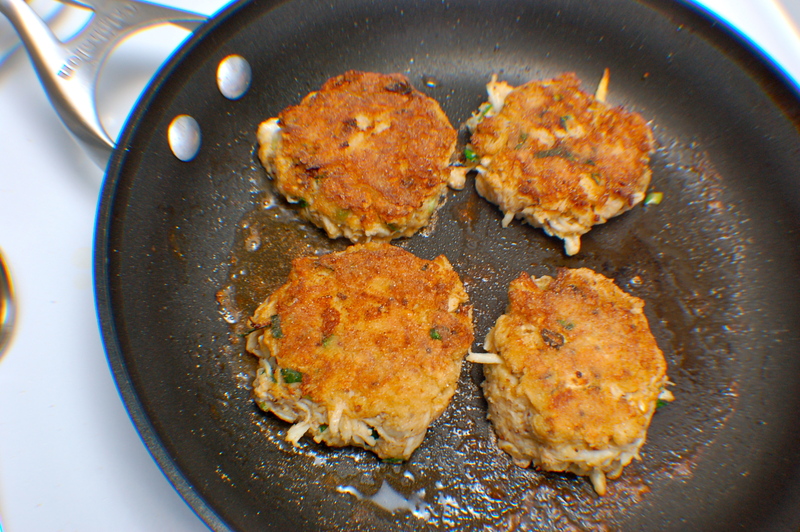 The recipe and sauce are adapted versions of two family recipes: Dad’s cocktail sauce and bro-lo Scott’s Northwest Crab Cakes. 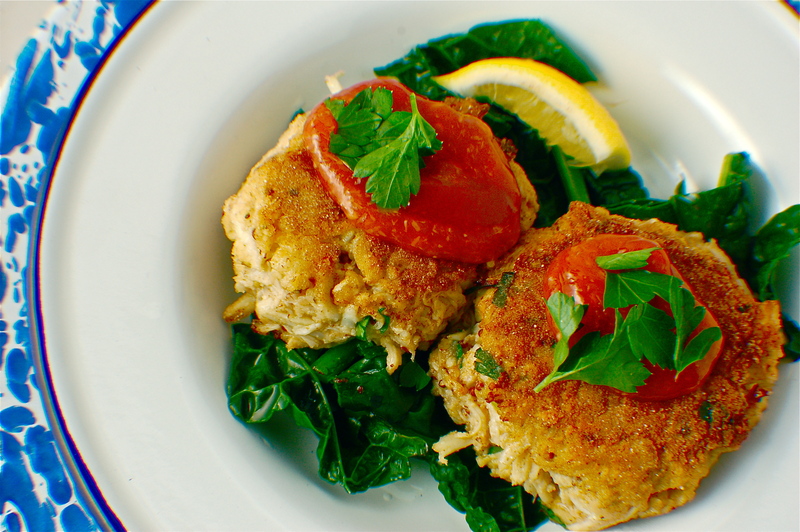 Ready to get all healthy and crabby? Okay let’s go make Paleo Crab Cakes. This recipe is a version borrowed from my bro-lo (aka, brother in law, Scott) and adapted to be gluten-free. Because the original version is so incredibly delicious, I’ve also included bro-lo’s original recipe below (thanks, Scott). These little gems can be served in many ways. I’ve provided a few suggestions below to get more creative, but the recipe as written below is with my dad’s original and simple cocktail sauce. *ask your butcher – they do this for you! Start by cleaning out your crab meat. 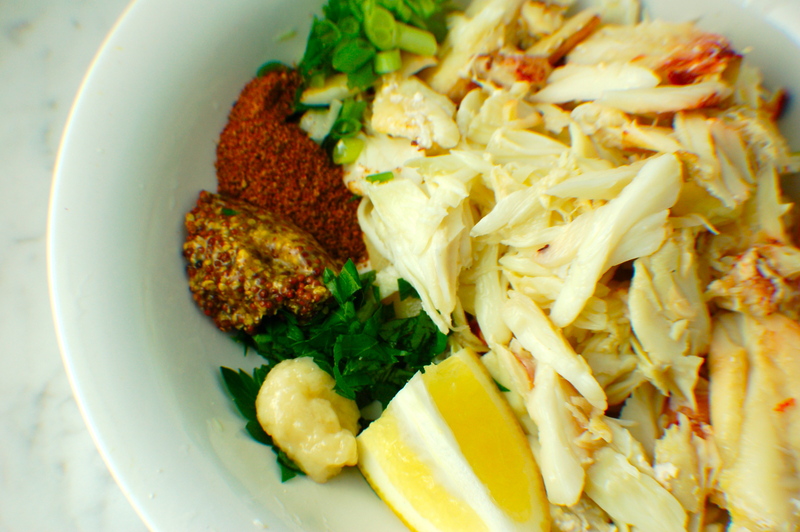 One entire dungeness crab should yield you about a pound of meat. Add all ingredients down to salt & pepper and mix with a fork. TASTE. It should taste like crab with hints of mustard, heat, and a little zing from the lemon. 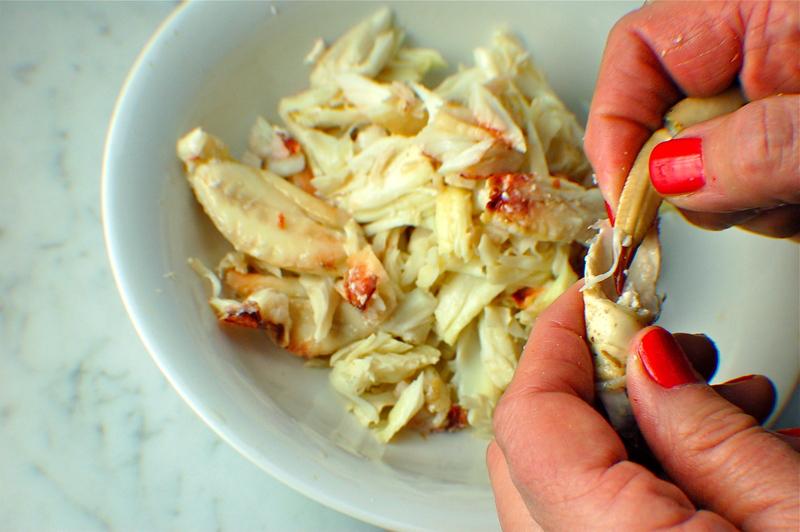 Cracking crab can be easy without tools: have your butcher pre-crack the crab and use the claws to get hard-to-reach pieces of meat. Hand model: mom. Add about 1/2 the almond flour, mix, and continue to add until it becomes slightly course. You should be able to create a patty in your hand and have it hold together. Too little almond flour and it will be too liquid-y. Too much almond flour and it’ll fall apart in your hands. Now, create some patties! This recipe yields about six 2-inch diameter patties. At this point, you can refrigerate and keep for one day until cooking. Crabby patties all ready to go! Plate by Crow Canyon Home. In a saute pan over medium-high heat, heat up olive oil or butter. Pat both sides of the patties with rice flour. The easiest way to do this is to put the rice flower on a small plate and press both sides of the patties to it. Immediately fry the patties for about 3 minutes on each side. They should be golden brown and crispy. I’m crispy! AND golden brown! Serve these little buggers with the simple cocktail sauce, chopped parsley and a wedge of lemon. These can also be dolled up as an excuse for breakfast by adding poached eggs or justified as being super healthy by serving over a fresh salad. But please, whatever you do, enjoy your crab season and enjoy your new year, new you, and New Year’s resolutions! 1 tbsp brown or spicy mustard – I like the beaver brand, because it’s good, and because it’s called beaver. Shell the crab. Don’t worry about the size of the chunks, but be diligent in keeping shells out.Dice all the veggies, til they’re about the size of your pinky nail. Do the jalapeno a little smaller. Chop the cilantro. Use as much as you want. I love cilantro, so I’ll usually add about 1/3 cup, but some people like less. 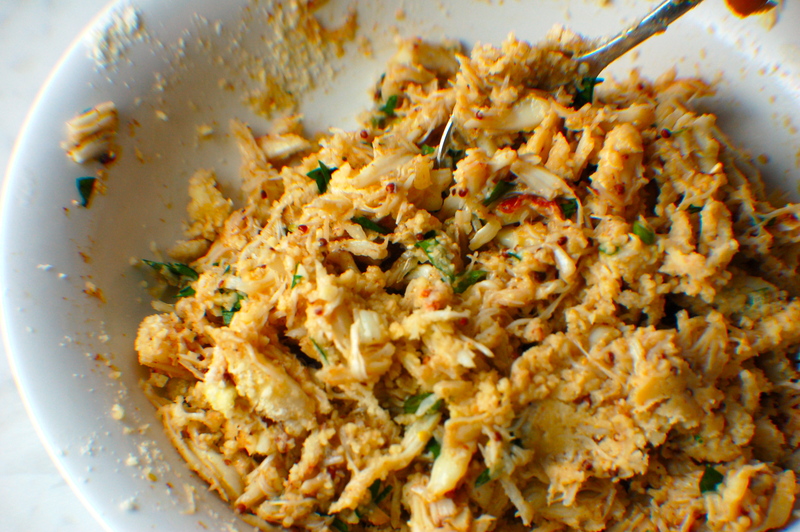 Mix the crab meat, diced veggies, cilantro, juice from half a lime, mayo/mustard, seasoning and ½ cup bread crumbs. BE SURE to not use too many, as too many can cause the cakes to not stick, and be too mealy. Turn the egg whites in to the mixture. 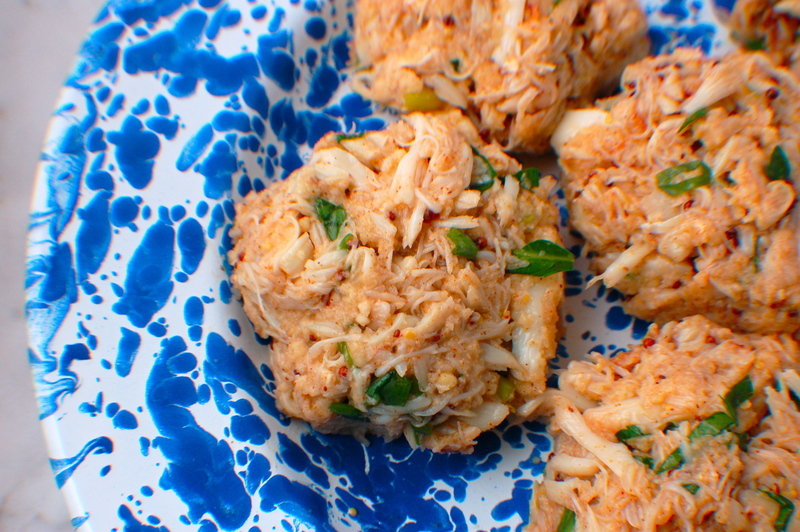 Make sure to get it good and mixed, but try not to destroy the fiber of the crab meat too much. Throw the whole damn thing in the fridge for an hour or so. Go for a run. Put the rest of the bread crumbs in a shallow dish. Heat a small amount of oil in a large pan or skillet over med-high. I’ve tried cast-iron, but I really think the all-clad works best. Hand form the cakes. Make sure to squeeze them, and drain some of the moisture out. If they’re too moist, they’ll fall apart when you cook them. Bread both sides of the cakes with the bread crumbs, then set them in the pan. Cook both sides until golden brown. Usually 4-5 minutes per side?? But it’s different each time. Favorite sauces are the simple hollandaise with lemon, sriracha and tartar or ginger peanut. 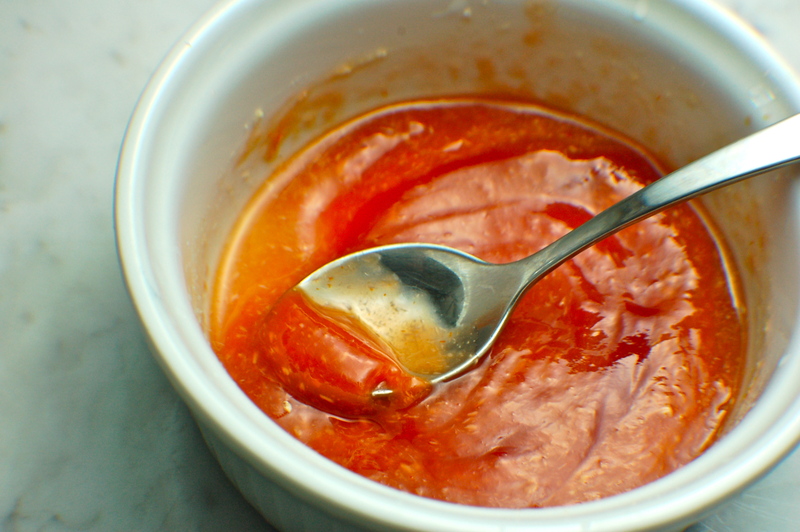 I’ve made some pretty wild sauces, and they’re always awesome. Drink lots of wine and whisky. Beija will certainly make more appearances on the blog! Divisions of CP Squared, Inc.
I’m going to make these soon! Let me know your feedback and how they turn out!